Dave, an Arizona native, knows the ins and outs of the Phoenix metropolitan area. His passion for real estate and dedication to his clients is what sets him apart from other agents. He prides himself on the personal relationships he builds with each of his clients and strives to go the extra mile with each of them to ensure they have a seamless experience. Whether you’re an investor or buying your first home you will feel comfortable and excited to work with Dave. His vast knowledge of the market allows him to be a cutting edge agent armed with the skills to make sure your in- vestment is the right one. “My goal is to provide the best customer service and exceed your expectations so that you can feel comfortable referring your friends and family for years to come”. Joe Loves Real Estate and Joe Loves His Clients! He is a top of the line professional Realtor with over 20 years of experience in negotiation, contracts, leadership, mentoring and speaking on all areas of Real Estate and client service. He has earned every award the Industry has to offer. Joe assists his clients with Buying & Selling, Real Estate Investing, Condos, Homes, Flips, Short Sales, Foreclosures, Probate & Estate Sales, and multi-million dollar homes. He has built his client base and reputation on the premise that clients are family. Over the years, Joe has not only built a successful real estate practice, but he has created lifelong relationships with his clientele. As the State of Arizona and the Valley have grown, Joe has expanded his knowledge of everything the area has to offer including city living, desert developments, neighborhoods, architecture, and community amenities to help his clients find their perfect place at the best price or represent sellers to gain the best sales terms for their property. Because Joe knows a house is more than a house, it’s a home, getting started off right with the right location, amenities, community, and feel of a client’s needs is important. He listens to their needs and desires for their perfect lifestyle. Home to Joe is not just a place to wake up and come home to, it’s the basis of your “best quality of life”. Joe leads local business groups, is an industry speaker on topics of finance, real estate investment and real estate as a retirement strategy. Always learning and teaching on industry topics allows Joe and his team to offer the leading edge technology to sell homes fast and at higher prices. Joe is always taking on new clients who are sure to become lifelong friends! I love Arizona and I love being a Realtor®. I love helping my clients sell or find just the right home, and then get settled into their new home. I love helping people achieve their dreams which makes being a Broker and a Realtor® the perfect role for me, especially when I have the opportunity to work with such a great group of people. I am a Certified Distressed Property Expert (CDPE), Accredited Buyer Representative (ABR), Certified Military Residential Specialist (CMRS), and Graduate of the Realtor Institute (GRI). My book, “The Central Phoenix Guide to Real Estate”, in its third edition, is a testament to my love and dedication to the Valley of the Sun. I have been a Certified Mentor for Buffini and Company’s Realtor training and coaching programs since 2002 and in early 2012 was selected as an Ambassador which allows me to mentor agents from other brokerages and disciplines as well as my own brokerage. I owned my own brokerage from 2005 through 2012 where I helped nearly 500 home-owners in distress short sell their properties, helped investors purchase distressed properties, and helped traditional homeowners buy and sell properties. During this time I built and managed a small residential property management practice of 134 properties while managing the brokerage as well as handling my own real estate trans-actions. I also provided Broker Price Opinions (BPO) to banks, investors and attorneys helping them to evaluate the value of properties. In a previous career I directed a consulting practice for a major consulting company where I was responsible for all higher education and municipal projects for the western region of the US. I applied what I learned about teamwork, project management, client care, and customer service to my real estate business to benefit both my clients and the agents I work with. I enjoy the synergy of working with others as it helps me stay fresh and current. As a Buffini and Company Certified Mentor, Ambassador, and Small Group Leader, I work actively and consistently to improve myself and my real estate business so that I can be the best possible resource to my friends and clients for their real estate related needs. Call me. I’ll be thrilled to help you buy a home or property, sell a home or property, or help you find the resources you need to keep your current home in great shape. I can even help you find a great Realtor® in another state or country if your real estate needs take you away from Arizona. My goal is for you to be thrilled with the results of our partnership. Shawn is a graduate of Arizona State University from the School of Architecture and also holds a Masters degree in Real Estate Development, and draws upon his many years of experience in architecture and development to aid sellers in maximizing the returns from the sale of their home; and, to find the homes that meet his buyers’ specific quality of living space needs. His commitment to real estate is based on integrity, honesty, trust and great service. His business experience has helped shape his strong sense of customer service and his ability to negotiate decisively and effectively for his clients. Serving in the Army National Guard, including recent service in Afghanistan, has given him a deep sense of responsibility that comes when others entrust you to get the job done and you can count on him to always have your back. In today’s complex real estate market, both sellers and buyers can count on him to deliver as promised. It is Shawn’s mission to provide his clients with professional expertise while earning their trust and exceeding their standards. Sharing his unique knowledge, experience, and enthusiasm, he will make sure their real estate experience is one of a kind. Investment Real Estate ignited David’s interest to become a real estate agent. Seeing the largely growing market, filled with opportunities, he realized it was the perfect career allowing him to raise his son while also being able to provide for his family. What started as an interest in flipping houses, his passion soon shifted towards helping families find their homes. Having been in the bar and service industry he knows how to put the client first and handle every need as if it was his own. He is a natural servant when wanting to help and his real estate career is reflective of that. When he isn’t working you can usually find him with his family or on a golf course enjoying what Arizona has to offer. John Gonzales, a Phoenix Realtor, had his passion for the art of real estate begin with his mentorship by his family who have over 50 years of combined experience in the industry. With his knowledge of the market and contacts in the remodel industry, John takes pride in helping his clients and friends obtain the most desirable offer for their current home, as well as helping buyers find the home of their dreams. Prior to moving to Arizona 25+ years ago, John proudly served his country for 4 years in the United States Air Force. Upon moving to Arizona he obtained his business degree from Arizona State University. John then worked in the high end flooring business building relationships with designers, suppliers, builders, and remodelers. John resides in Scottsdale with his beautiful wife, Toni, and their four children, Cole, Michael, Faith, and Jake. He is an avid cook and loves to entertaining friends and clients at their home. Some of his favorite client appreciation events include hosting their annual ‘Howl-A-Ween’ Party, benefiting local pet charities, as well as an annual shrimp boil, which gives his guests a taste of his Texas background. Sierra is all about doing it right the first time. Setting clear expectations from the beginning is paramount when deciding to buy or sell real estate. Buying and Selling a home is a group effort and clear communication is key. Sierra is here to listen to your goals and create a plan that will best meet your expectations. With a strong background in sales and customer service; she understands that things may not always go as planned- but she does know with the right attitude and the ability to look at each situation on a case-by-case basis anything can be achieved. 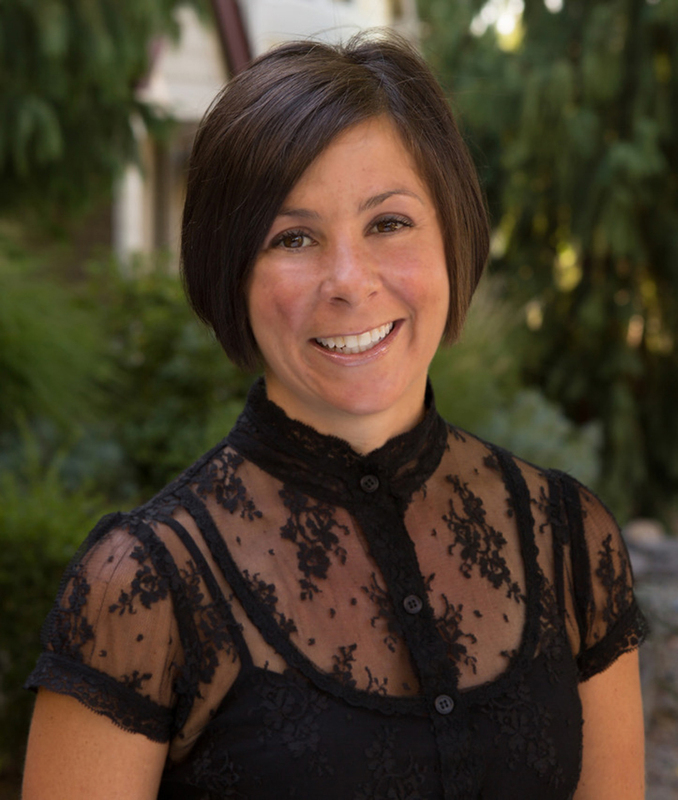 Sierra prides herself on going after life with tenacity and dedication; if you are looking for a Realtor who will represent you in the same way- connect with her. 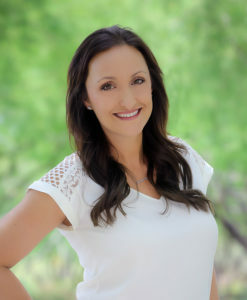 Sierra is licensed in both Arizona and Oregon…whether you are looking to buy or sell in the Valley of the Sun or the City of Roses; she is your real estate connection. PS- These sorts of profiles are tricky, she finds it best to pick up the phone and have a conversation to see whether or not you and her are a good match. She looks forward to connecting. Whether buying or selling a home, I am the perfect agent for you! My background in customer service means I will go above and beyond expectations to make sure you are completely satisfied with your home buying or selling journey. I am passionate in helping clients achieve their dreams! Hannah Griffith has been an Arizona local since 2001 and currently resides in Scottsdale with her husband Ryan and malti-poo Rocco. Having come from a family with a strong background in residential real estate, she began to have an interest early on in her life. At the age of 16, she was fortunate to be able work under her successful uncle at his brokerage where she gained invaluable experience in marketing and client relations. Prior to becoming a Realtor, Hannah worked in the hospitality industry where she developed a passion for customer service and sales. She was then offered a corporate position and because of her attention to detail, integrity and honesty, she was entrusted to perform numerous high level duties dealing with finances, accounting and human resources. How do you real estate??? Are you buying, selling, investing or do you have some other real estate needs? If you have answered yes to any of theses questions then Ken Lena is your realtor! Ken brings a strong sense of professionalism and empathy to all of his clients. He will walk you through the home buying process step by step and always give you 100% of his attention. Ken truly has a passion for helping all his clients secede in making their real estate dreams a reality! Ken was born and raised in the suburbs of Chicago, Illinois before realizing Arizona was pulling him and his family to the valley of Sun. Ken majored in criminal justice in college and went on to having a very successful 14 year career in law enforcement. Ken’s background in law enforcement has provided him with very important skills and knowledge that he has been able to effectively use to help all of his clients. Ken has great communication skills and works very hard to make all of his clients happy. Some of the hobbies Ken enjoys are spending quality time with his family, any activities that consist of being in or around water, hiking, exploring, rebuilding cars and motorcycles. But Kens favorite thing to do is find properties that are in need of rehabbing for he and his wife to put their special touches on. So whether you are a first time home buyer, seller or investor, from residential to commercial and all between, there is no task too big or too small for Ken to handle. He will always make sure all your needs are kept in first place and met with the highest degree of professionalism possible. Ken would absolutely love to earn your business or referrals, so give him a call or text today to make your real estate dreams a reality! Gino is one of our newest team members coming all the way from New Jersey! He has fulfilled his life long goal of moving to Arizona in pursuit of nicer weather and a western lifestyle. 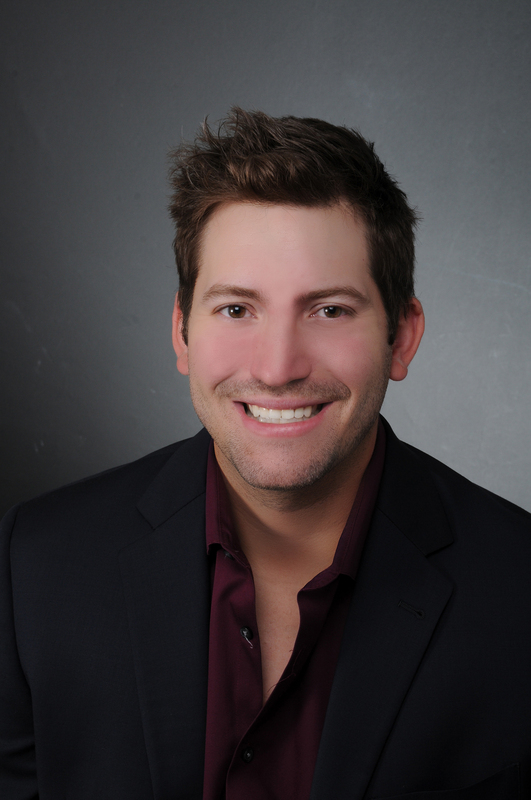 Gino comes to the Copper State with experience as Commercial Realtor and Real Estate Investment Analyst. Whether you are looking for an investment property or a home to hang your hat in, Gino has you covered. He takes a technological approach to finding the right property to fit your needs and strives to make the process as much fun as possible! Give Gino a call today to get him going on any real estate project you have. Be prepared to work with a professional realtor who will do all the homework for you and will answer your texts or calls at any hour of the day, including weekends! P.S Gino is a dual licensed realtor in Arizona and New Jersey. He has great aptitude to learning different markets and is not afraid to get in the trenches to learn all the details about a new area. Ryan graduated from the University of Arizona with a degree in History. Throughout his college career, Ryan interned with the Southwestern Company, selling educational materials door-to-door to families with school-age children. In this program, Ryan recruited, trained, and motivated multiple sales teams by teaching a consistent work schedule and positive mental attitude. 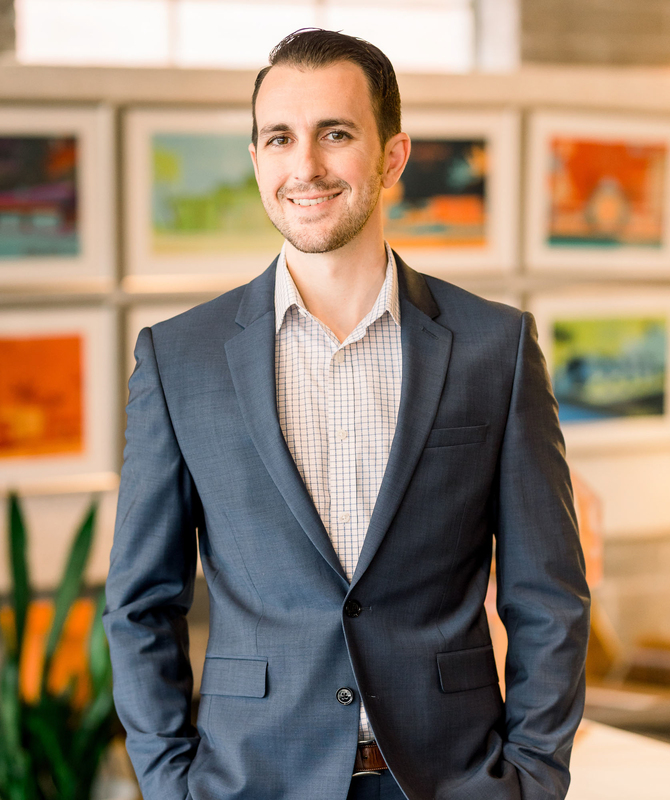 Native to Arizona, Ryan has spent the last seven years in Southern California working as a Technical Recruiter, supporting clients in aerospace and information technology. His family has been working in real estate for the past 30 years and was always intrigued by the business. Ryan’s selfless attitude and hardworking mentality are a few reasons he was able to constantly deliver for his clients and earn repeat business. These same qualities will make him a great Realtor for you and your family! Whether you’re looking for your primary residence or an investment property, Ryan will find you the property of your dreams. I pride myself on the ability to integrate integrity, energy, hard work and creativity in every detail of a Real Estate transaction. Drawing from years of experience as an Executive Mortgage Banker, I have built an unparalleled reputation for my refreshingly friendly customer care and proven ability to guide my clients confidently in the right direction. I believe that every transaction is about the client. You are the driver, I am here to listen, guide, educate and provide the best service possible. I graduated from Arizona State University with an Undergraduate degree in Pre-Law followed by a Master’s degree in Business. I played competitive soccer for 15 years where I traveled all around the U.S.. It taught me a lot about commitment, drive and what it takes to be a hustler. As the Real Estate industry evolves to become more innovative and efficient, so do I. My commitment to you is to make your next home buying process an enjoyable one! I look forward to working with you, your family & friends! 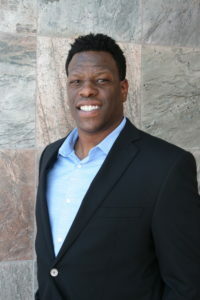 A graduate from Arizona State University in Business Management, Patrick Davis prides himself on building relationships with his clients in this competitive market. Growing up in the Southwest, Patrick decided early on that Arizona was the place to call home. In the past 20 years, he has lived to experience this great state conquer many changes and expansions. This growth has become an attraction for those who want to pursue the dream of being a homeowner in one of the most sought after states in the country. Outside Patrick’s passion for real estate in Arizona, he is a dedicated father and enjoys watching sports and traveling with family. Before real estate, Patrick’s career developed and continued to grow in banking while learning the importance of client relationships and loyalty. This loyalty is the strength that keeps people together especially when it comes to changing the place we want to call “Home”. 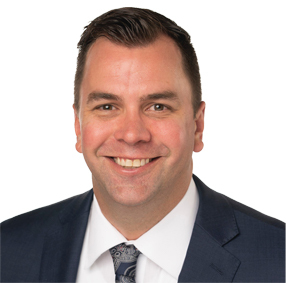 Patrick’s expertise is based almost exclusively on referrals from satisfied clients that have cited his knowledge, friendliness, and commitment. 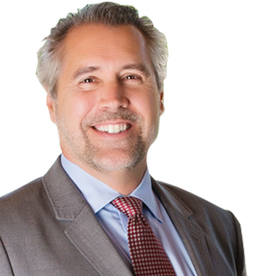 He prides himself on providing the very finest advice and dependable service to his real estate clients. 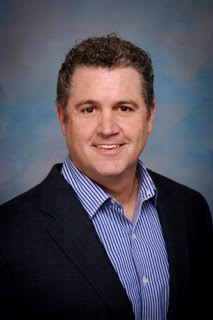 In addition to being a member of the Scottsdale Area Association of Realtors, the National Association of Realtors and the Arizona Regional Multiple Listing Service, Patrick is a proud graduate of Executive Launch, an advanced real estate business, and marketing program. As a full-time Real Estate Broker, I am completely focused on providing exceptional service to my clients and expanding my knowledge of Arizona’s ever-changing market. In real estate, experience matters, and having personally closed over 450 successful real estate transactions, I am an expert in my field. I represent buyers and sellers in traditional resale and short sale transactions, and after 6+ years as REO listing agent, I also have considerable experience with bank-owned foreclosure properties. Your best interests are my top priority, and I am committed to providing you with outstanding service while helping you achieve your home ownership goals. You can be confident in relying on me, along with my team of experienced and knowledgeable associates, to handle all of the details from start to finish. I strive to build relationships that will last long into the future and will work diligently to ensure you are treated the way you want to be treated. For me, being a Realtor is extremely rewarding personally, as well as professionally, and I consider myself privileged to be part of this exciting journey for my clients. Please contact me if you have any questions about my services or how I can best help you achieve your real estate goals. Ahmed Mulic, a native Arizonian, prides himself with the ability to help those around him. He brings passion to his work and in all walks of life. Real estate is his purpose and he is constantly pursuing the need to perfect his craft. He is genuinely interested in people regardless of their situations. He believes his word means more than anything else. His ability to tune in to situations and prevail with various solutions is what makes him unique.